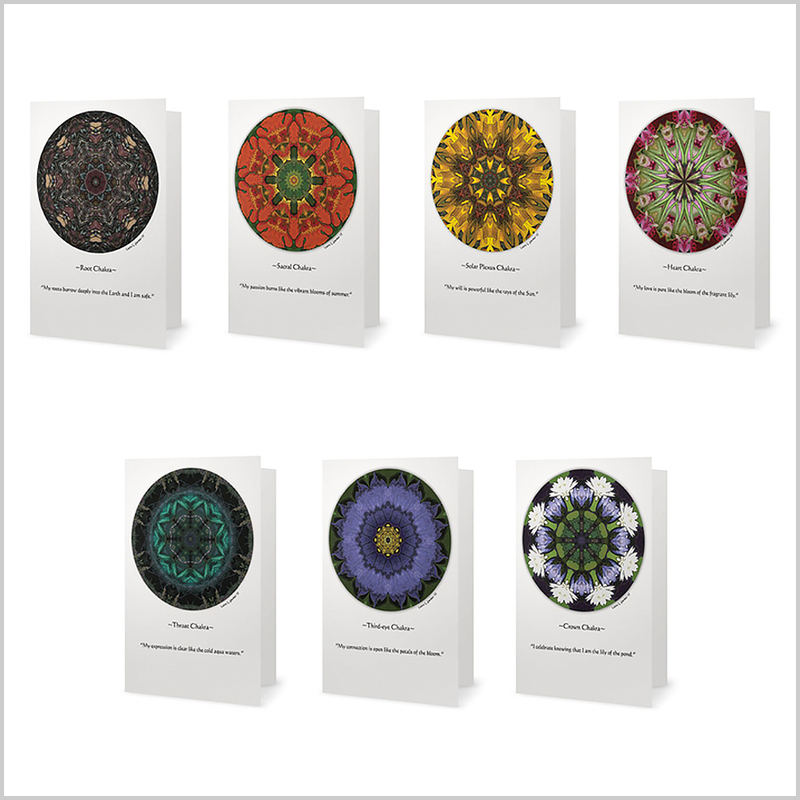 A set of seven 5″ x 7″ high-quality folded cards printed with Nature Mandalas representing each of the major chakras of the body. Scroll down for a complete description. This set of seven 5″ x 7″ blank greeting cards includes a Nature Mandala representing each of the major chakras of the body. Chakra is a Sanskrit word meaning wheel, or circular. Each of the chakras represents a spinning wheel of a specific type of energy. 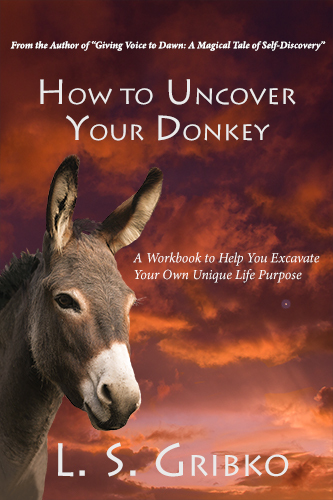 When you’re doing and feeling your best, all of your chakras are spinning unimpeded and at an optimal rate. 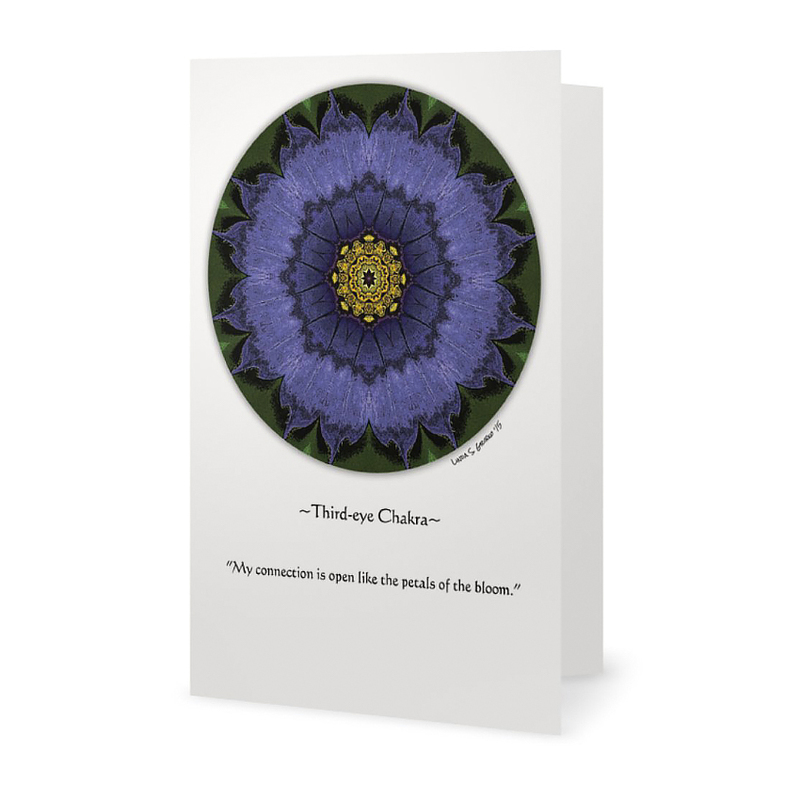 The mandalas on these cards are great for chakra-focused meditations toward that goal. I create each mandala using a single digital photo, included on the back of each card. Represented here are flowers and a photo of riverstones that I took in Montana. 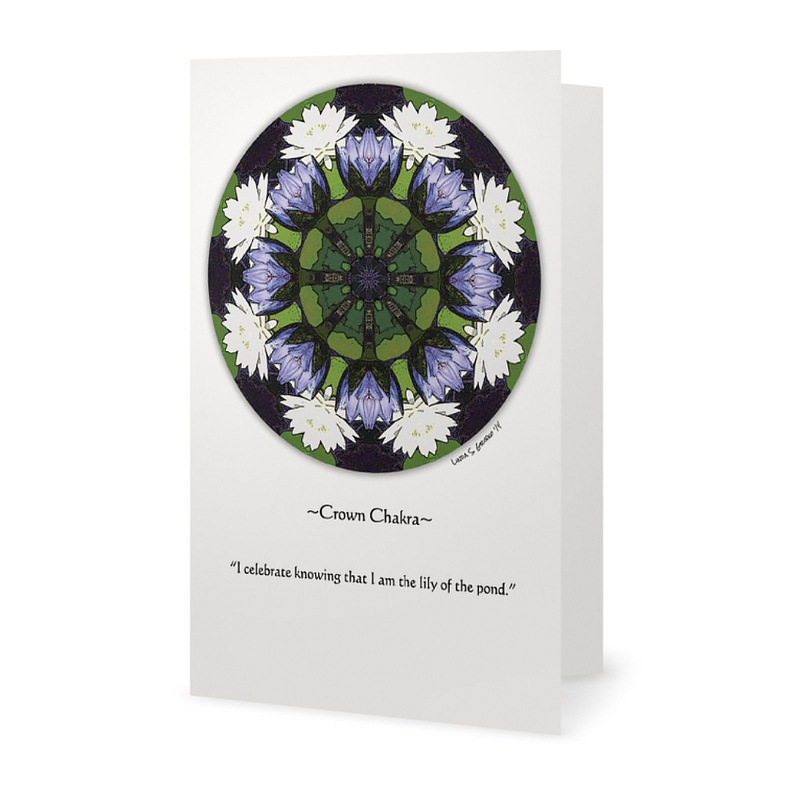 The mandalas are printed on the front of each card with a nature-based affirmation below. The original color photo is printed on the card backs. 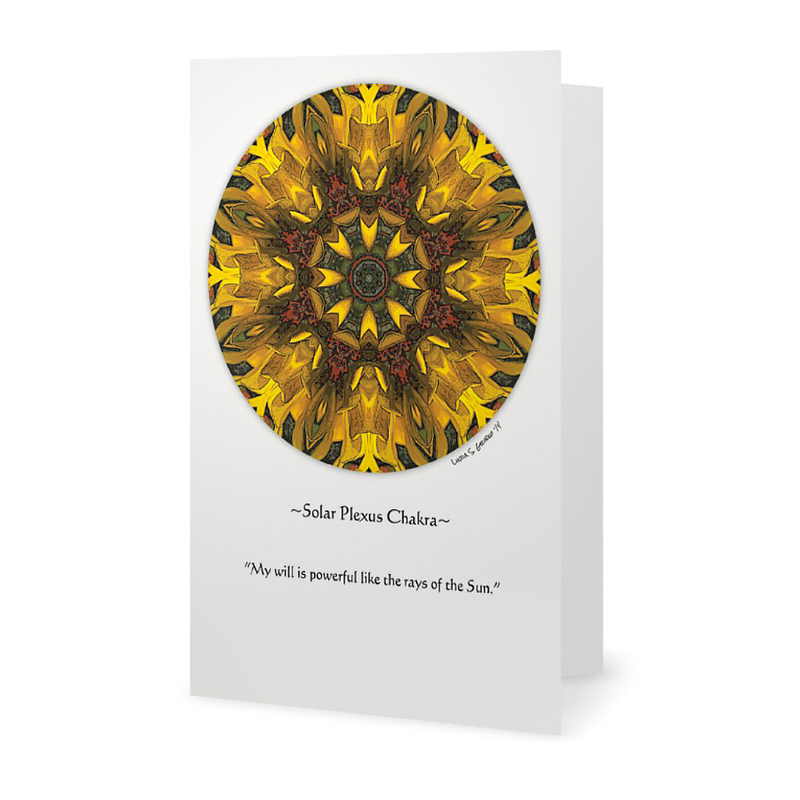 Cards are printed on high-quality 100# matte paper and are suitable for framing. Envelopes are included.